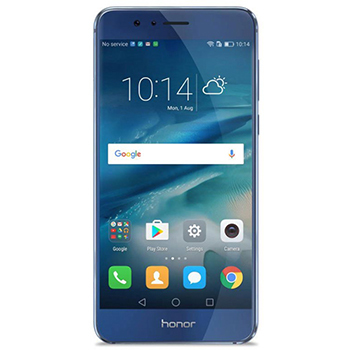 Constructed with a 2.5D glasses made body, for the best thickness and strength of glass, the Honor 8 offers diamond-cut elegant round assured by aluminum alloy, and ultra-narrow bezel design. The 3D grating effect made through carefully polished 15-layer craftsmanship, creates a real standout design. The dual Sim capabilities offers convenience for work and leisure. 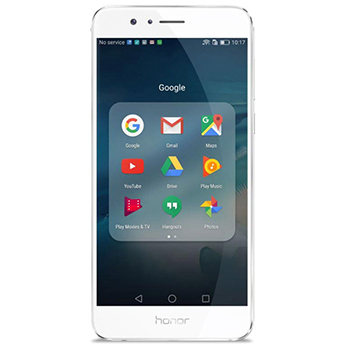 The Honor 8’s 5.2-inch FHD display is equipped with 96% high color gamut (NTSC), color enhancement and dynamic pixel-level contrast adjustment technology to bring you a great view experience. Filtering out part of blue light to reduce eye strain, the eye-care mode makes the view experience even more comfortable and safer. A 3000mAh large battery supported by Smart Power 4.0 maximizes its stand-by time, whilst 9V/2A fast charging technology promises a 47% charge in just 30 minutes. Powered by a 2.3 GHz octa-core CPU built on a 16nm architecture and 4GB of LPDDR4 RAM enables flawless multitasking. The i5 co-processor, controls Honor 8’s sensors whilst the Kirin 950 SoC chipset to increase processing speeds, response times, and battery life. NFC technology runs alongside a 0.4-second phone unlock, auto learning skills set and 3D fingerprint reading. The double antenna can seamlessly provide a stronger signal, Huawei's international carrier database registers quickly on local networks when roaming. Housing one RGB and one monochrome sensor, 1.25 um large pixel size, the dual 12 megapixel lenses capture more lights, increase picture quality and bring bright, crisp colours to life. Hybrid auto-focus aligns laser focusing for short range, precise depth focus for long range as well as the contrast focus to make things possible. An 8 megapixel front-facing camera, you can achieve superior selfies even in low light.